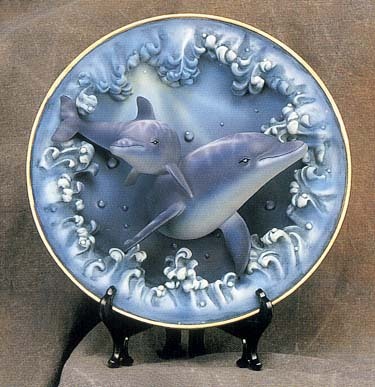 This beautiful and 3-Dimensional Collectible Dolphin Plate is individually hand crafted and painted to the finest detail. It is as if these two dolphins swimming towards you right before your eyes. It comes with a hook on the back and base. You can hang it on the wall or place it on the base.